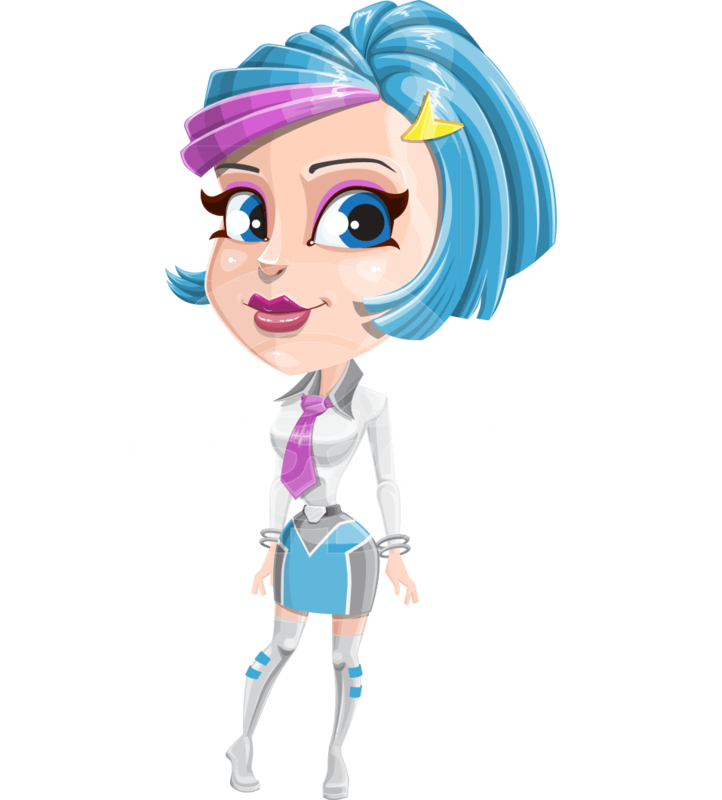 A futuristic business girl with blue hair and a futuristic suit with a tie is prepared as an Adobe Character Animator puppet. 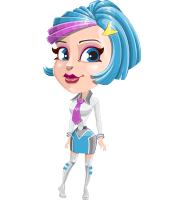 This pretty girl will easily fit into your animated video related to business, office, future, innovations, technology and more. She can talk, show, wave, give thumbs up, and express basic emotions. The download file comes with .AI and .Puppet file formats, so you are all set to start recording.